Have you ever gone into a movie just straight up knowing you are going to love it? Like, there is basically zero chance that you are going to dislike the film. And yet, you still manage to find yourself extremely surprised and pleased more than you thought you would be? Well, that is exactly what happened upon checking out this amazing Thomas Middleditch vehicle of a film called Entanglement. It is a lovely film that is in the vein of everything I already enjoy just so much. But, the film isn’t just a great type of film, it is a downright great film. Thomas Middleditch is an actor who has been unfairly typecast into certain roles. The idea of seeing Thomas playing a very depressed character seems logical at first, but when you actually see him do it, it is better than you could ever imagine. 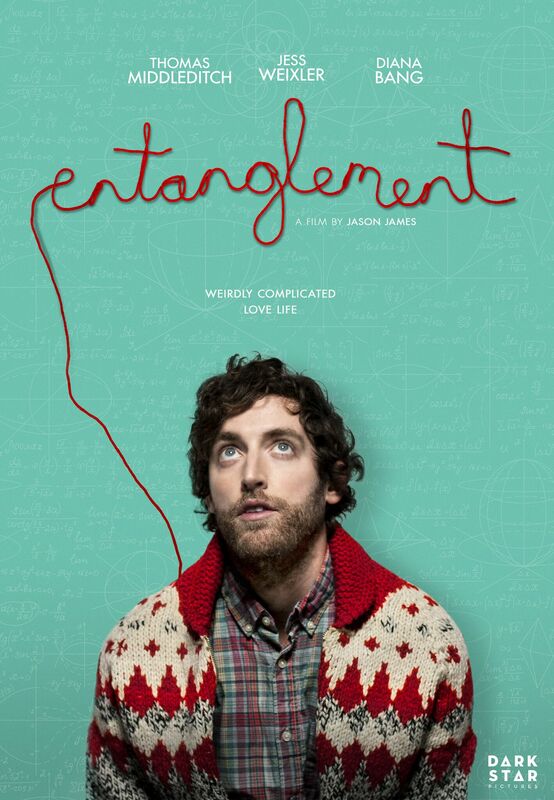 Overall, the storyline of Entanglement is pretty standard. There is a plot twist, but an entirely logical one that would seem obvious for people who watch these types of films regularly. But, for whatever obviousness is at play here, it is all made up for with witty dialogue, and some of the greatest character developments I have ever seen. Entanglement is a lovely little story about finding personal strength when all hope is lost and the importance of lasting relationships. It has some brilliant acting, perfect writing, and just an overall pleasure to watch. You’re going to love this!